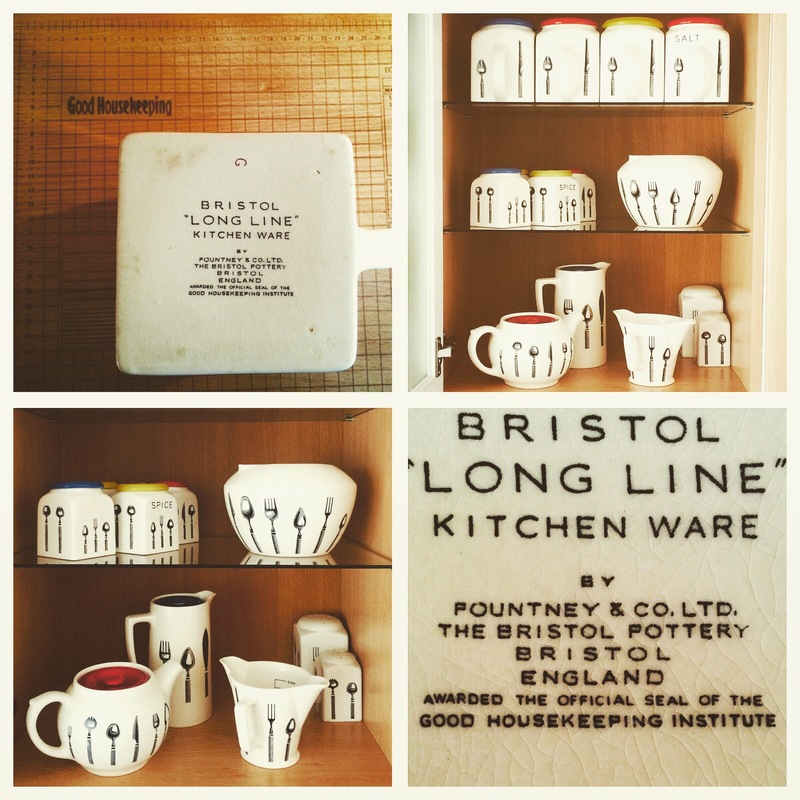 My Bristol Pountney Long Line collection is my pride and joy. 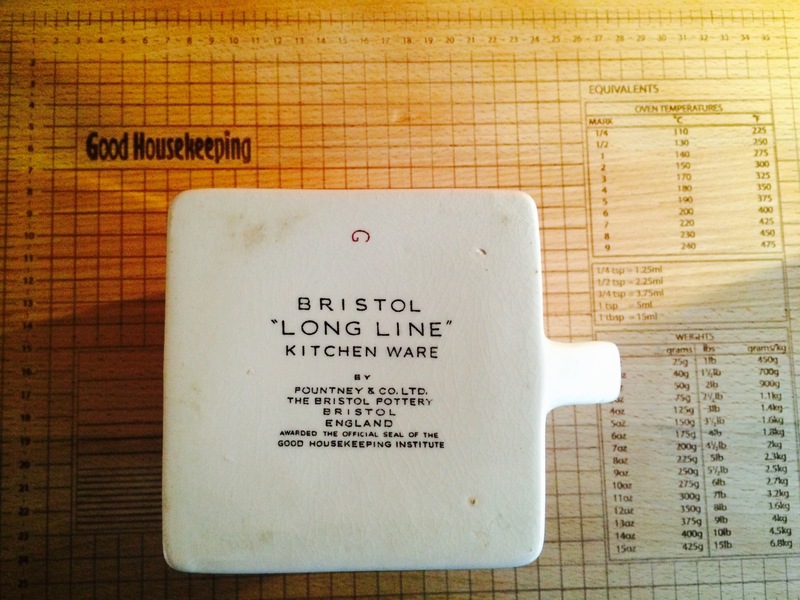 I have previously published a blog about the history of the pottery. I bought a chopping board from Sainsburys endorsed by Good Housekeeping Magazine, just as the Long Line is. Today I am just posting to let you know of the latest addition to my collection, a new lipped large and beautiful bowl. 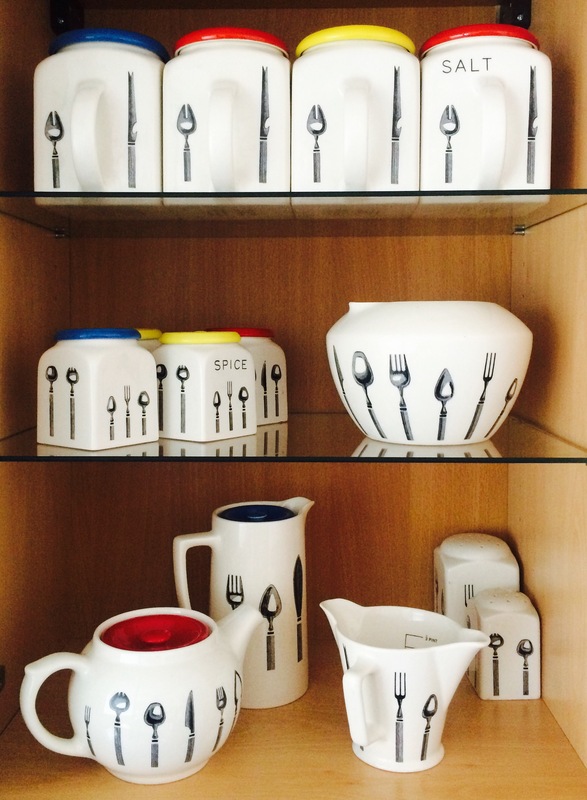 My new bowl takes pride of place at the centre of my display in the kitchen. 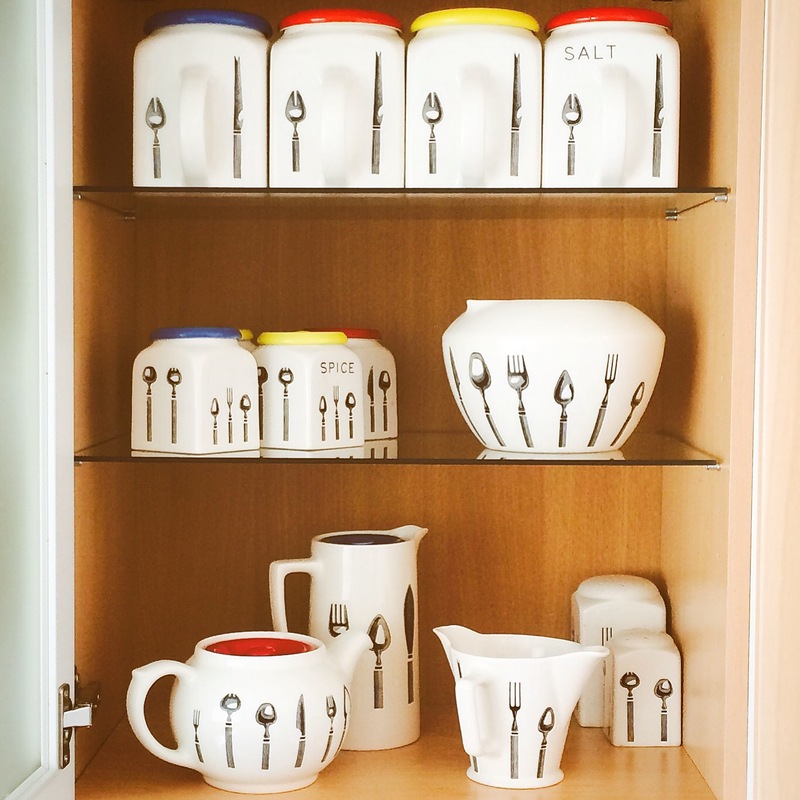 When the bowl arrived I had a re-arrange in the kitchen to display the pieces clearly – this entailed taking a cupboard door off. I am thrilled with the results.